These two. 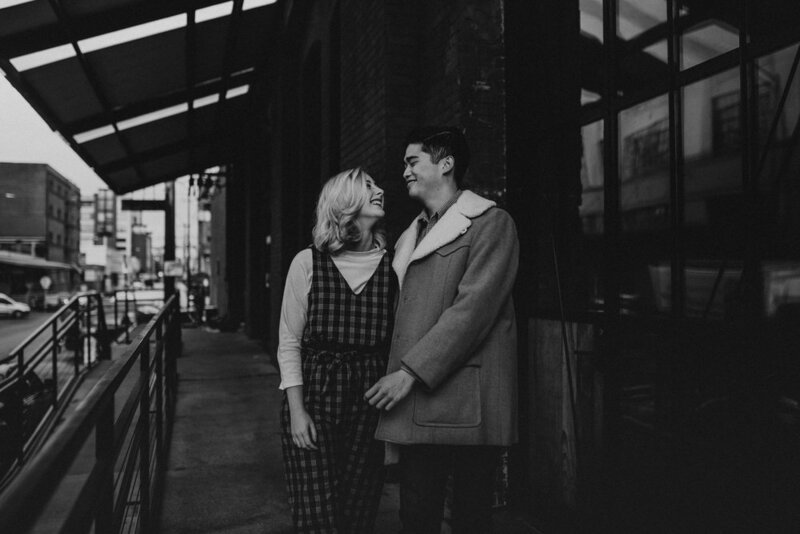 I fell in love with them in the first 2 minutes of hanging out on their engagement session in Portland. 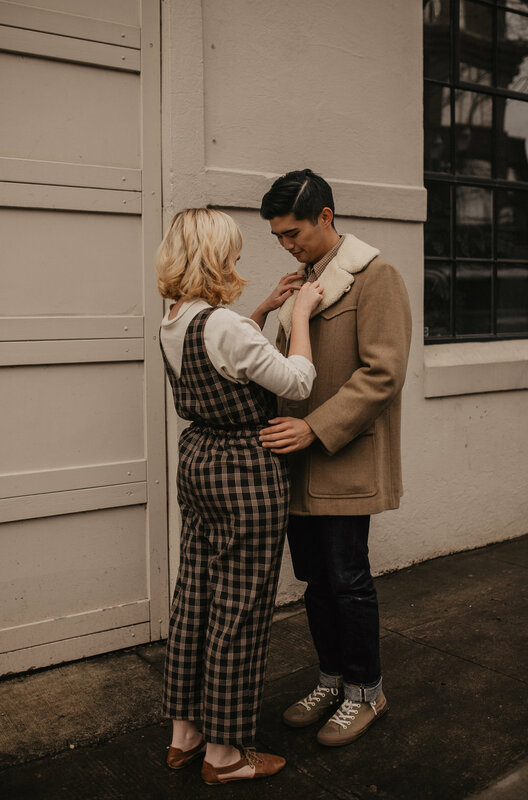 Maybe it was their knack for thrifting the coolest vintage outfits, maybe it was their love and joy for one another that so naturally came together in front of the camera, or maybe it was their unique story that matched mine of growing up in China. Whether one of those or the million other wonderful things about them, I absolutely adore Addison and Caleb. 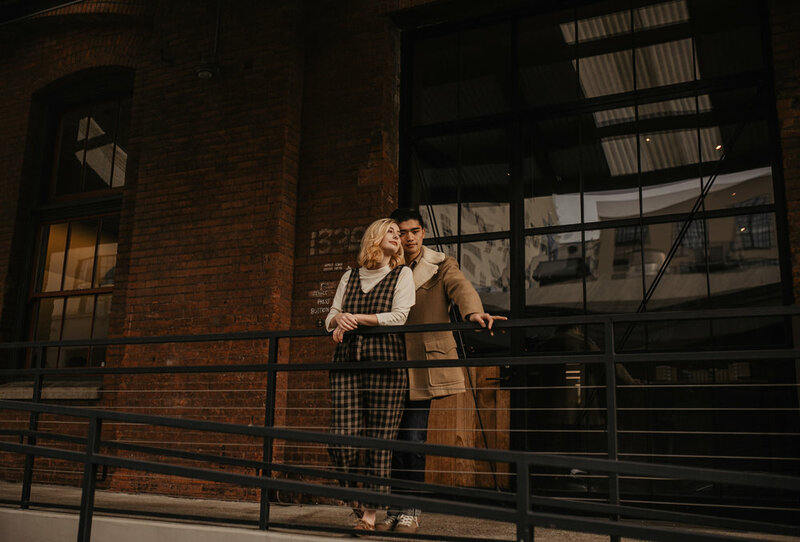 We met in the Pearl district in downtown Portland on a chilly, clear morning to wander the city together! 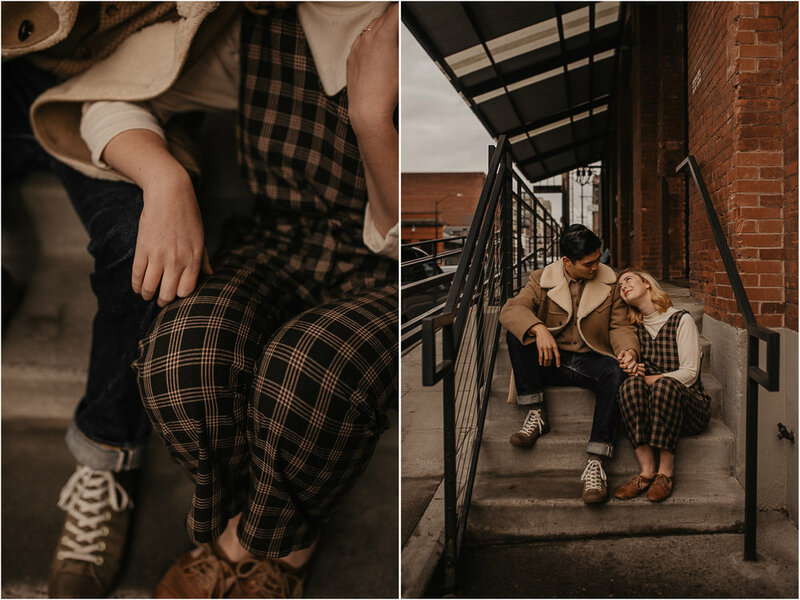 When Addison told me about their love of unique, editorial couple photos, I knew it was going to be a fun time! Creative lovers always have my heart. 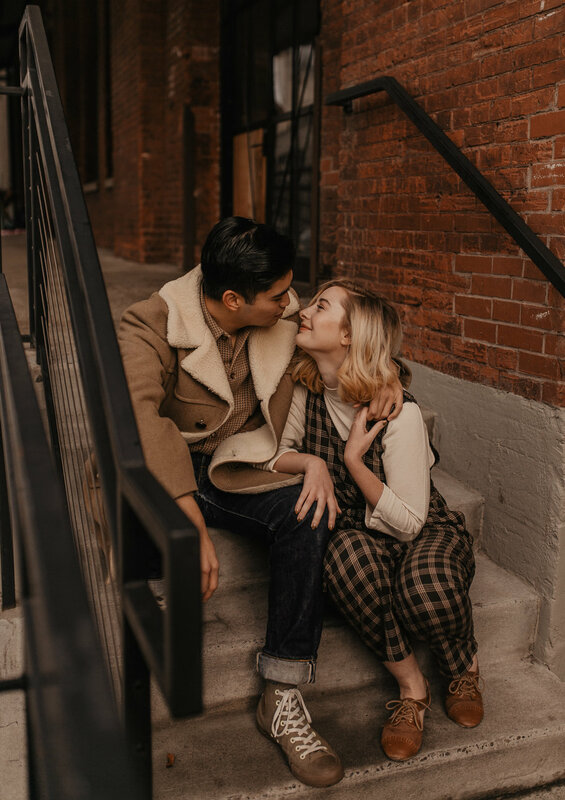 I feel honored that they chose me for these photos AND for their wedding day (literally CANNOT wait)! The Pearl district offers so many unique spaces for photos, and I never get tired of exploring those Northwest Portland blocks. I love city shoots because it’s such a mixture of photo-taking and just walking around. I feel like it gives so much time to talk and hang out and really get to know one another! I loved learning about their journey together and adventures in LA pursuing their own creative work! It makes me excited to call them “friends” now. After a couple of hours wandering around (with a pit stop into Safeway for an outfit change haha) we captured all the moody, urban, editorial photos! We even got a little bit of sun to close off the day! I’m so grateful for this unique city with it’s brick buildings, textured walls, and beautiful architecture. And, I’m even more grateful for people who want to explore it more with me! 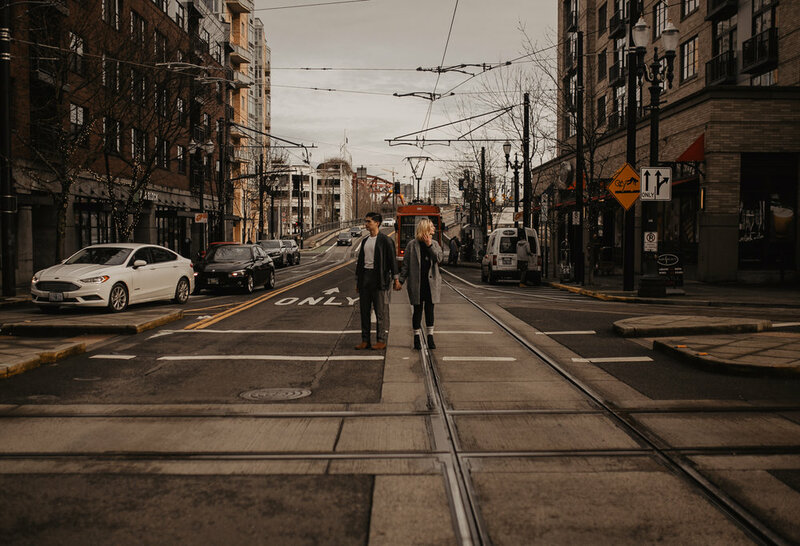 Cheers to Portland and all the creative, city engagement photos! thinking of heading to the Pearl to hang out? Here are some fave spots to hit up! what to plan our own adventure in the city??? HIT ME UP! I’m always down to explore!